Giovanni Licata (Italy) is shown a yellow card. Rikiya Matsuda hits the left post with the conversion, failing to add the two points. Trouble here as Ryoto Nakamura breaches the defence. This is dangerous for the defence as Kotaro Matsushima bursts through to advance the Japan attack. A bit of individual brilliance by Kotaro Matsushima leads to a try for Japan. A gap opened in the defence and Lomano Lemeki took full advantage. Japan decide to make a substitution, with Takuma Asahara getting some game time. Japan decide to make a substitution, with Jiwon Koo being replaced. Italy sub Marco Fuser comes onto the field. Alessandro Zanni departs for Italy. Cherif Traore comes on for Italy. Andrea Lovotti leaves the field. Spellbinding play by Michael Leitch is finished off with a try. Alessandro Zanni has made 10 good tackles so far this game. Leonardo Ghiraldini has made 10 good tackles so far this game. 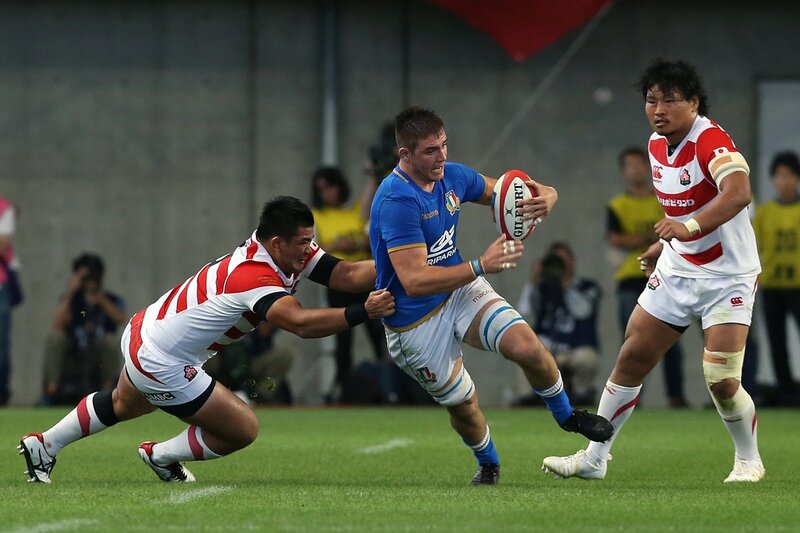 A wonderful passing move by Japan is finished off by Amanaki Mafi. What a run here by Jayden Hayward as they gets over the gainline!. Rikiya Matsuda played a key part in that try. Will Tupou makes the break as the defence re-enacts the parting of the red sea. 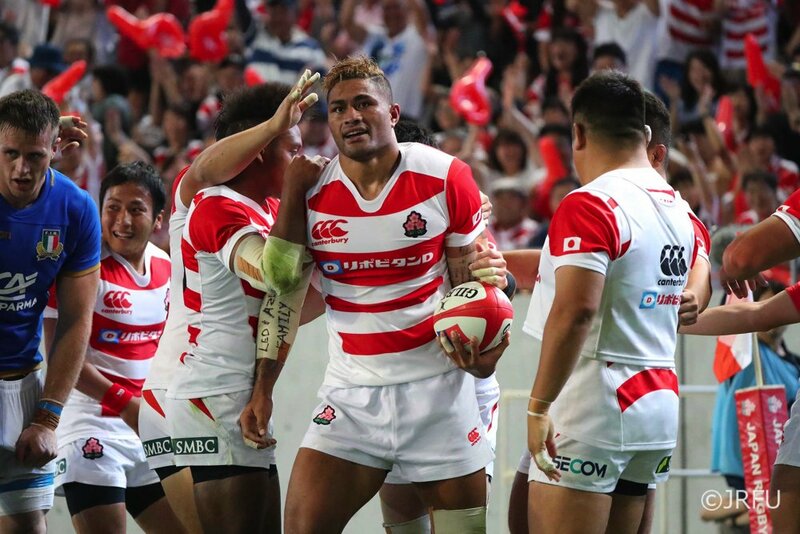 A series of passes by Japan results in a try for Will Tupou. Kazuki Himeno has made 10 good tackles so far this game. Italy decide to make a substitution, with Simone Ferrari getting some game time. Italy decide to make a substitution, with Tizano Pasquali being replaced. Italy make a substitution with Tito Tebaldi coming on. Italy make a substitution with Marcello Violi coming off. 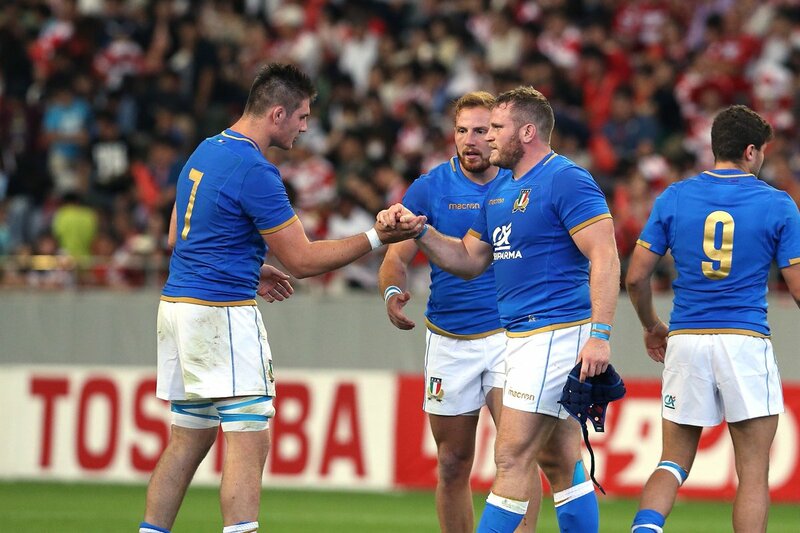 Fabulous play by Italy has led to Matteo Minozzi being able to wriggle through a gap. Japan sub Uwe Helu comes onto the field. Wimpie van der Walt departs for Japan. Tommaso Allan converts the try. That's a great try assist by Marcello Violi. A stunning solo try from Jake Polledri. Trouble here as Jake Polledri breaches the defence. This is dangerous for the defence as Lomano Lemeki bursts through to advance the Japan attack. Tommaso Allan hits the right post with the conversion, failing to add the two points. 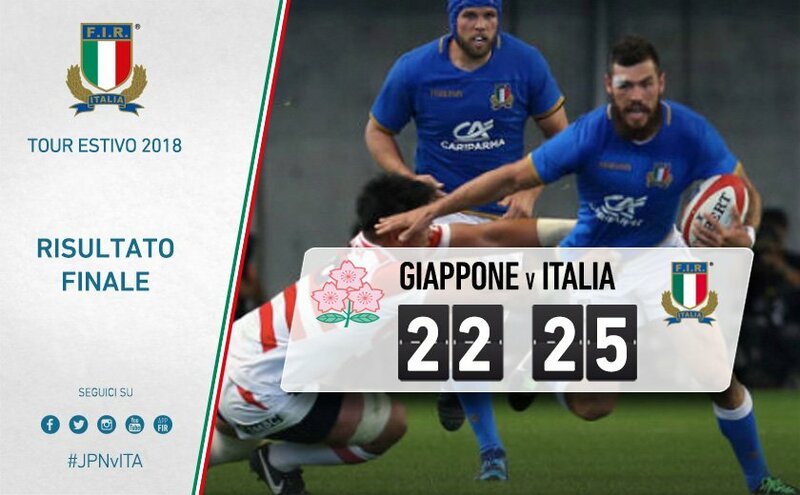 The Italy pack has powered over for Leonardo Ghiraldini to score the try. Marcello Violi sets up the try. Great hands by Italy leads to a try for Tommaso Benvenuti. A gap opened in the defence and Jayden Hayward took full advantage. Samuela Anise (Japan) is shown a yellow card. RT @gloucesterrugby: 🙌🏽 Couldn't be prouder of this man! 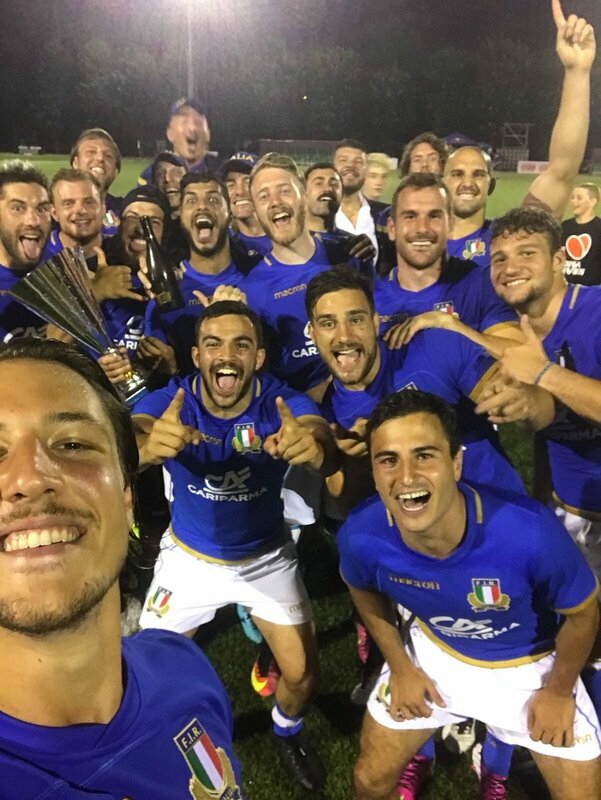 RT @alfredo_gavazzi: Congratulazioni agli Azzurri #Italrugby per la vittoria di questo pomeriggio a Kobe. 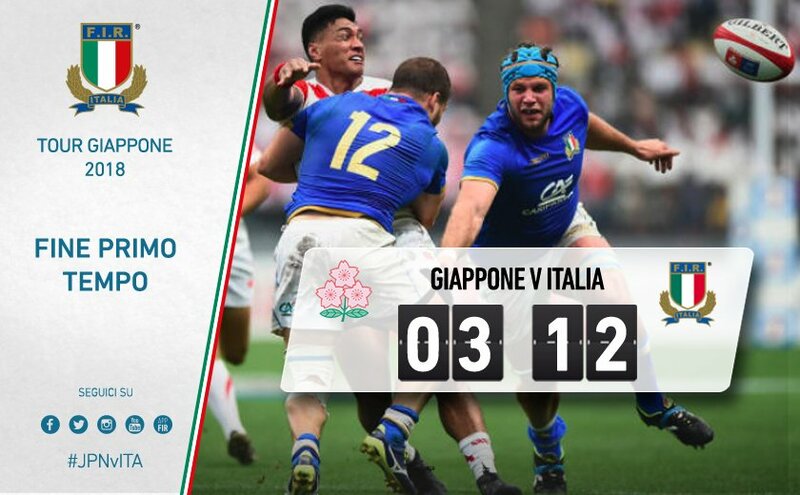 #JPNvITA si torna in campo per la ripresa, nessun cambio per #Italrugby.